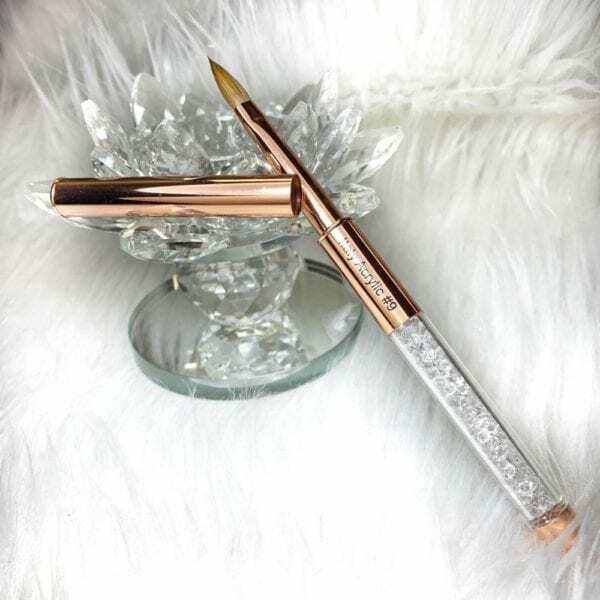 #9 Kolinsky Rose-Gold Nailbrush features 100% pure, handmade bristles for premium performance. Oval, pointed as well as flat, this brush is designed to take up Monomer perfectly. Add to that stunningly gorgeous looks and well……It’s love at first sight at a reasonable price too! Lightweight, well balanced with rose gold handle and lid. Purest hand made Kolinsky sable bristles. AB shiny rhinestones in the handle. This is so gorgeous you probably will want to leave it unused, but don’t! It applies acrylic as well as it looks. It is #9 size just right for beginners and experienced techs. 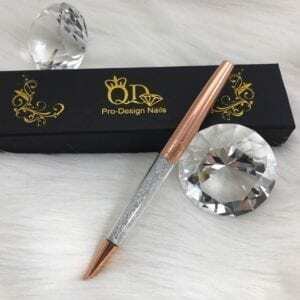 QD’s bespoke new rose-gold series kolinsky acrylic nail brush features the finest oval, pointed and flat kolinsky hair available for total control. The precision balanced, elegant rhinestone embedded aluminium, rose-gold plated, handle and cap ensure ease of use and unparalleled beauty . The removable top can be attached to the handle of the brush to extend the grip area or may be left off. This allows you the choice of a shorter or longer handle. The cap also serves to protect the kolinsky while stored. 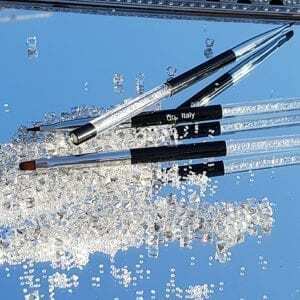 This simply stunning acrylic brush is furthermore engraved with the QD logo and brush size. 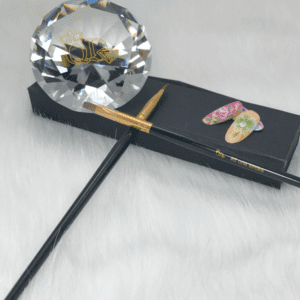 There is far more to creating the ideal nail extension than just simply technique. That said correct technique is vital however the right tools will prove invaluable in assisting you to create better results. As you begin to practice you will usually be using the brush that came included with a starter kit you may received from a school. However as you become more experienced and better at application, you will likely have a preference for a different brush which better suits your style of working. 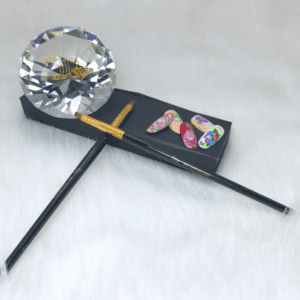 Should you use the same brand brush and acrylic? QD does recommend this, not because as so many will tell you “the brush and acrylic have been made to work well together”, no we think that is not really true. In fact the best reason is that if you want assistance or are having a problem the supplier can be sure it is not another product and better assist you. 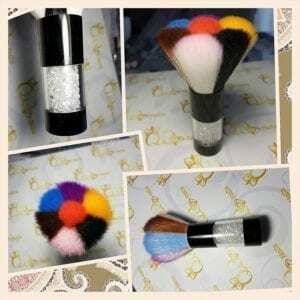 Our brushes are 100% pure Kolinsky, they absorb monomer just right and make lifting powder much easier. They are pretty, made to do the job and reasonably priced. These are all competition standard and will work great in a salon. With any natural hair brush, it is essential to maintain the brush with correct cleaning after every acrylic application to avoid the brush becoming stiff and damaged. We really suggest you take the time to read an article from Infinity magazine which discusses this in greater detail HERE>>. 3D Acrylic #2 Gold Series.